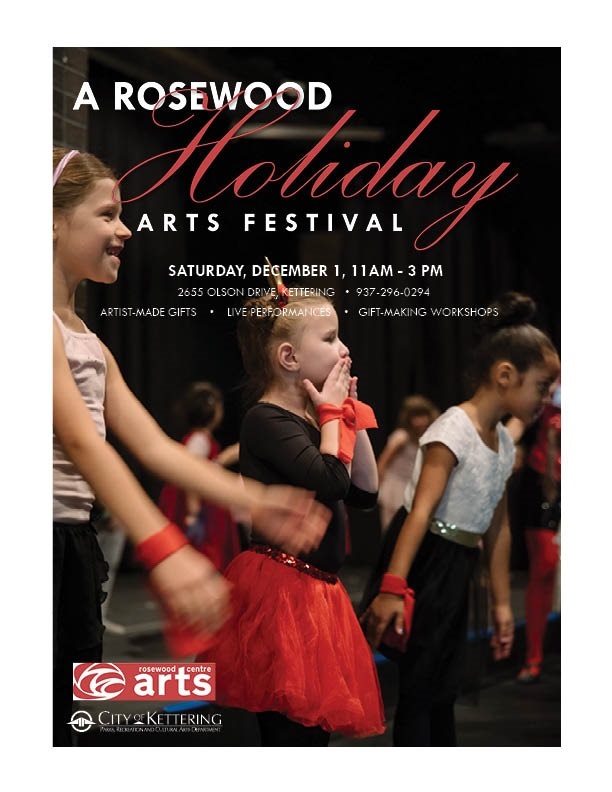 Add to calendar 2019-12-14 11:00:00 2019-12-14 15:00:00 +00:00 A Rosewood Holiday Arts Festival A Rosewood Holiday is back this December to help you get creative with your holiday shopping and discover all that Rosewood Arts Centre has to offer. This event centers around our talented community of artists -our instructors, open studio users and community members. They will be joyfully selling one-of-a-kind handmade items for everyone on your list. We're also welcoming back the community soup making competition and soup bowl fundraiser for the Kettering Parks Foundation. Snag a unique bowl hand made in our pottery studios and enjoy the best soup our contest hopefuls have to dish out! Holiday make and takes, instructor demonstrations and glowing performances from local organizations will be returning as well. Join us for a heart-warming day of holiday fun and shopping! A Rosewood Holiday is back this December to help you get creative with your holiday shopping and discover all that Rosewood Arts Centre has to offer. We’re also welcoming back the community soup making competition and soup bowl fundraiser for the Kettering Parks Foundation. Snag a unique bowl hand made in our pottery studios and enjoy the best soup our contest hopefuls have to dish out! Stay tuned for full performance schedule and list of 2019 performers! •Make and Take Crafts: Enjoy three festive artmaking activities designed just for kids! Do all three projects for only $5. •Games Galore: Join Clyde’s Ice Adventure in a life-size, board game! •Be a part of making a new piece of public art! Jes McMillan of the Mosaic Institute of Greater Dayton is creating mosaics to be installed in Kettering sidewalks and needs your help! 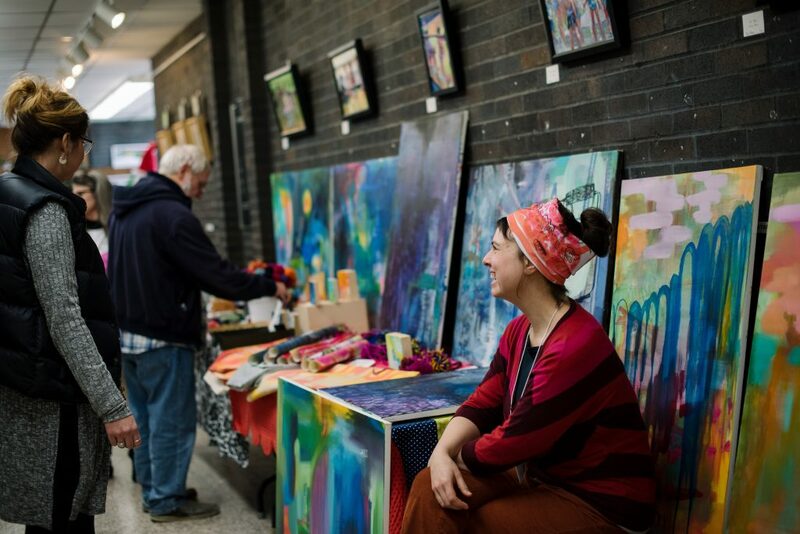 •Watch our instructors and give them a hand as they show off their skills in watercolor, jewelry, clay, colored pencil drawing, sewing, and more! •Lego League: Building for a goal. 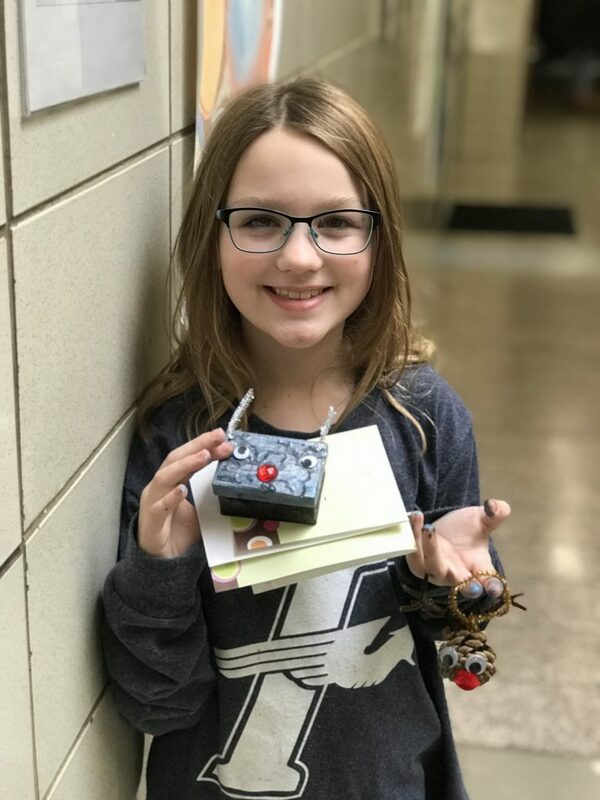 Learn about the solutions for space that our local Lego League has been working on! •Storytime: Join the Dayton Metro Library for a wintery storytime at 1pm! •Jingle Bells: Learn to play a Holiday favorite tune with our Rosewood music instructor.